In this installment of our “Get to Know” series, I sat down for a Q&A session with Anar Desai, VP of Americas Channel Sales. Read about his first impressions of Palo Alto Networks, the opportunities that lie ahead for partners, and why he credits Danny Ocean (yes, the one from Ocean’s Eleven) for the best approach to assembling a successful team. There’s so much to learn about Anar, including his favorite business book and pour-over coffee. Question: Now that you are in the role, what are your first impressions of Palo Alto Networks? Anar: Partner success is a tenet of our company culture, and it’s just fantastic. There are three things that demonstrate this and really impress me. First, I’m very fortunate to have inherited this highly functioning team with an extraordinary caliber of talent who know how to drive success with our partners. Second, all the leaders at Palo Alto Networks are committed to our channel partners and their success, not just our sales leaders. Third is the dedication to building technical expertise within our partner community. We are continuously delivering enablement and activities to help partners develop technical knowledge, such as the SE Summit, and provide top-notch recognition through CYBERFORCE. Question: What opportunities do you see for the Americas channel? Anar: I think the most significant opportunity we have is to build on our existing partner base. We have strong partners who know our next-generation firewalls very well. Now, we have an excellent opportunity to enable them to expand their portfolios to include Traps advanced endpoint protection, our cloud security offerings, and our SaaS offerings. Question: What are the big opportunities facing NextWave partners? Anar: Pervasive cloud adoption and digital transformation, combined with the shortage of IT talent, has created significant customer demand for partner-delivered services. The greatest opportunity for partners today is to offer a range of sustainable services from pre-sales, planning, implementation, post-sales, and managed services. Many of our partners have already started the journey towards a managed services offering, and the MSSP route-to-market is something that I hope all partners evaluate. It adds a new level of flexibility and customization they can offer our mutual customers, and it provides partners with a new path to profitability. Now, it’s up to us, the global cybersecurity leader, to enable them to build and differentiate their security services offerings based on their expertise and the services they offer. Recently, we introduced our first Service Offerings Kit. It provides partners with access to the same tools, materials, and ROI models used by our organization to enable professional services delivery. Question: What is your favorite business book, and why? Anar: A former coworker recommended Legacy, by James Kerr. It focuses on the core values the New Zealand All Blacks rugby team embrace for continuous improvement, teamwork, and success. Considering that the All Blacks have dominated their sport globally for nearly a century, I think everyone in business can take a page from their book. Kerr applies the values and best practices to building high-impact sales teams. Purpose, self-assessment, teamwork, attitude, and humility are all key themes that translate well into establishing and maintaining a high-performance culture. I’ve adopted all 15 principles from the book, and I’m trying to instill these as core principles for our channel team. Question: If you could work with a fictional character from any movie, who would you want on your team at Palo Alto Networks? Anar: Danny Ocean. When Danny brings his team together for the ultimate caper, he takes all the different personalities and different skillsets into consideration with one objective in mind: success. He’s solely focused on the outcome. When any sales leader is putting together a team, we need to focus on each individual’s specialty and know that it will fit the situation. As you assemble a team, it should have diverse skillsets so that, collectively, you bring the best team together for success. 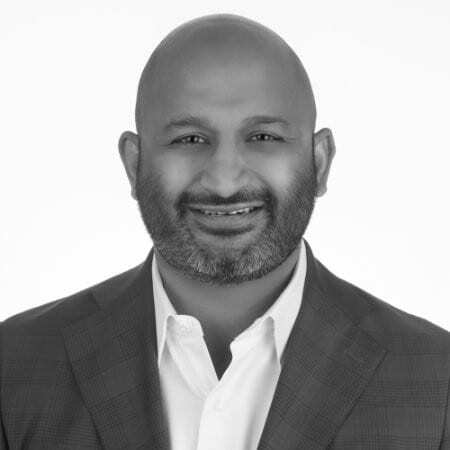 Anar joined Palo Alto Networks on October 1, 2018. This Chicago native takes great pride and joy in being a leader and a father. He is a self-proclaimed sucker for a good pour-over coffee, and Blue Bottle in San Francisco is his all-time favorite. When in the South Bay, Philz does the trick – also, it’s closer to the office.